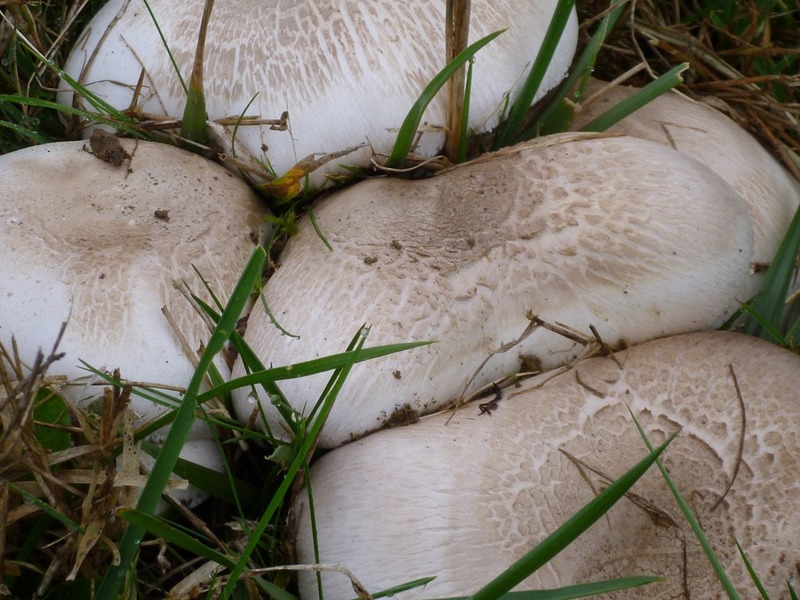 There are a lot of mushrooms in our fields. The locals call these rosé des prés, which usually means the regular old field mushrooms but there are at least two distinct species that I see. 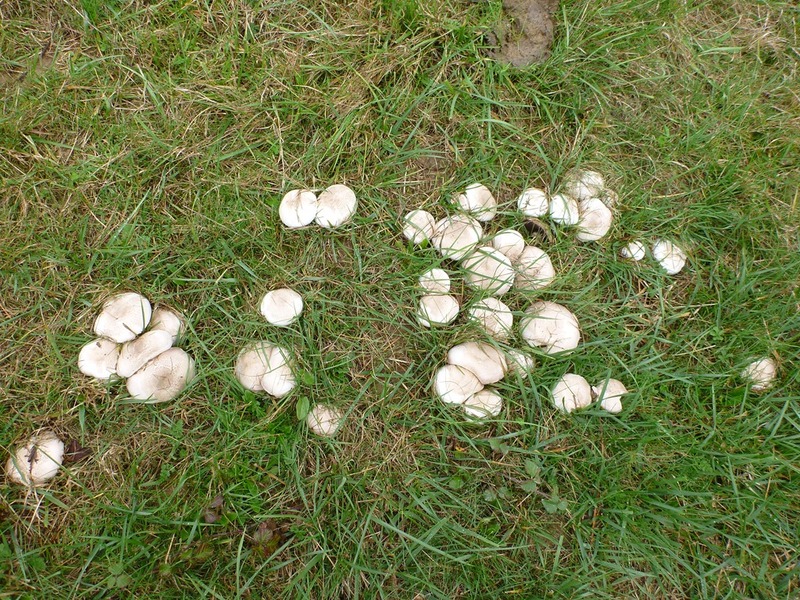 The ones below are in a fairy ring several meters across and I think they are horse mushrooms. They are way more pungent than the field mushrooms that showed up a few weeks ago, and their bunched growth looks different to the isolated field mushrooms. The oat and vetch field is sprouting nicely. I borrowed a seeder to get the cereal in the ground and it seems to have worked ok, although I ran out of seed a little too early. 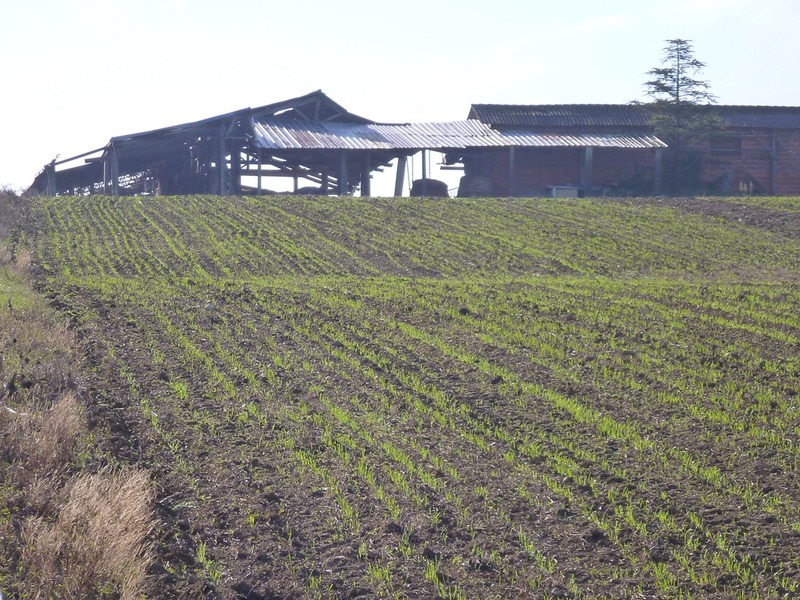 There will be a couple of bare stripes that will become more obvious as the oats grow. Here is the herd moving to some new grass. I haven’t mowed this paddock yet so I can see how the dead grass from the previous grazings decomposes and affects the new growth. My current heuristic is that if there’s a lot of standing dead grass then I need to mow it down, otherwise I can leave it be and the cows will trample it next time through. The dead and trodden in grasses did not decompose over the dry hot months of summer, but now things are changing by the week. 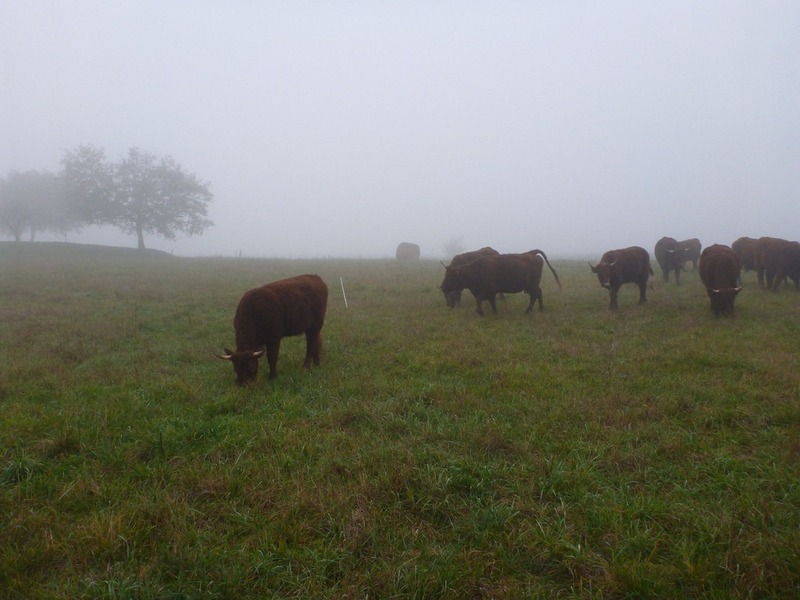 Our grazing system is to let pasture rest for months at a time and this should favor the tall grasses like fescue and dactyle/orchardgrass. Pastures that started with a fair amount of these grasses are doing very well, but areas where the shorter grasses dominate are going to take a while to change. I see clusters of newer tall grass but it is going to take a couple of growing seasons for them to change the character of the field. 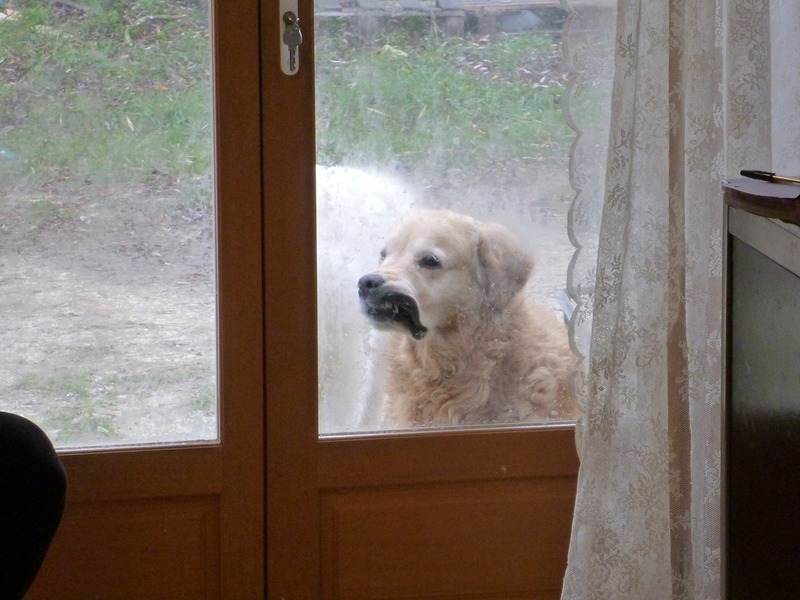 Tosca (the perpetually hungry golden retriever) likes to drool on the kitchen door. There might be a calorie or two on offer inside.